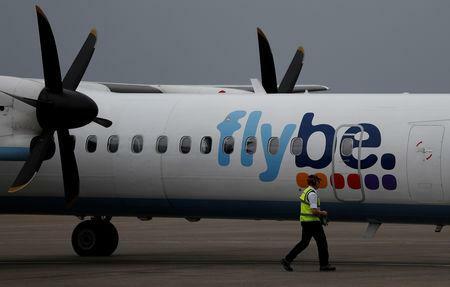 LONDON (Reuters) - Flybe <FLYB.L> issued a profit warning on Wednesday citing weakening demand, higher fuel costs and a weaker British pound, sending shares in the British regional airline lower. "Stronger cost discipline is starting to have a positive impact across the business, but we aim to do more in the coming months, particularly against the headwinds of currency and fuel costs," Flybe CEO Christine Ourmieres-Widener said in a statement. Liberum analysts cut their target price on the shares, which have halved in value over the last three months, to 33 pence from 43 pence but kept their "hold" rating on the stock. "The opportunities for self-help improvements remain, but they are being more than offset by the challenging external environment," Liberum said.